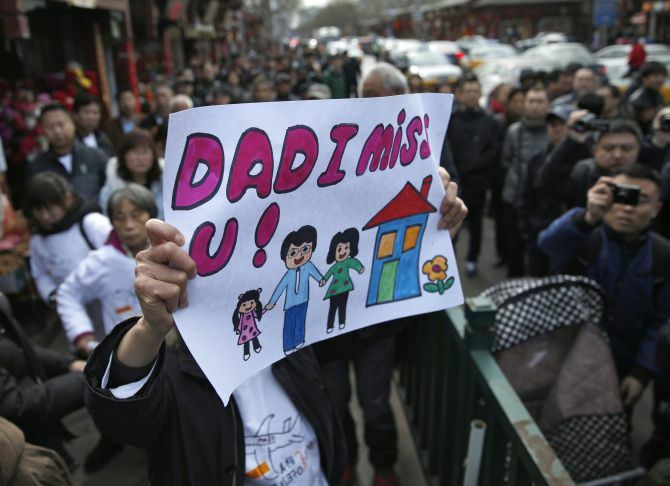 Grieving families of the 239 people on board flight MH370 on Sunday marked the first anniversary of the world's biggest aviation mystery with the Malaysian prime minister vowing not to give up on the search for the wreckage of the aircraft that vanished midair over the Indian Ocean. "Together with our international partners, we have followed the little evidence that exists. 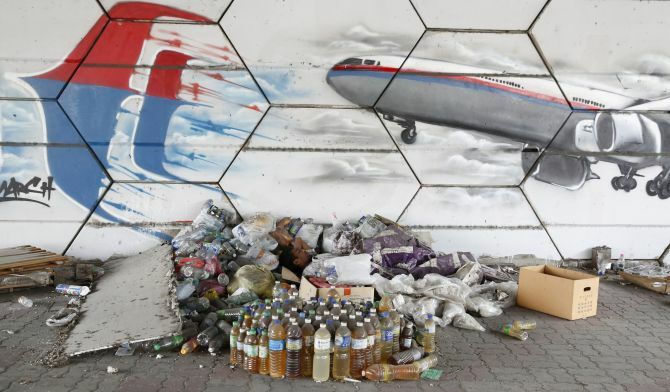 Malaysia remains committed to the search, and hopeful that MH370 will be found," Prime Minister Najib Razak said in a statement, marking the one-year anniversary of the disappearance of Malaysia Airlines Boeing 777. Flight MH370 disappeared on March 8 last year while enroute from Kuala Lumpur to Beijing with 239 passengers and crew on board. There were five Indians on the flight. The plane is believed to have ended its journey in the southern Indian Ocean. A year-long, Australia-led search effort in the southern Indian Ocean where the aircraft is believed to have crashed has so far yielded no sign of the plane. 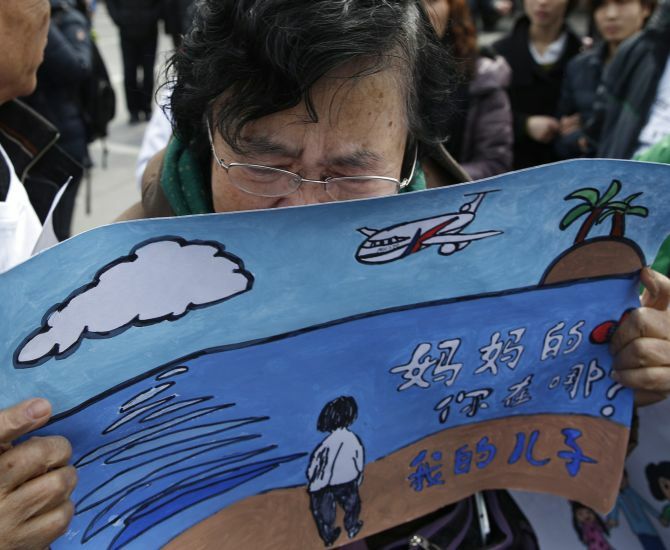 Malaysia's Department of Civil Aviation on January 29 had declared the plane's disappearance an accident. "The disappearance of MH370 is without precedent, and so too is the search -- by far the most complex and technically challenging in aviation history," Najib said, thanking the international teams and people who have been tirelessly looking for the aircraft. About 600 Malaysia Airlines employees and the next-of-kin of MH370 crew members attended a private gathering here to observe the one-year anniversary of the missing plane. The gathering was led by MAS chairman Md Nor Yusof and MAS group executive officer Ahmad Jauhari Yahya. "Today we acknowledge the reality of our shared loss and remember 13 dear friends and colleagues who left us when MH370 disappeared a year ago," Nor said. Jauhari paid tribute to the dedication of the airlines employees for their efforts and support to the airline and the families of the passengers. Voice 370, a support group for the kin of those on board, are hosting a "Day of Remembrance" at a mall in Kaula Lumpur. Investigators are yet find any trace of the jet, including its black box data recorders. More than 40 per cent of a designated 60,000-square-km zone believed to be the most likely location of the crash site has been scanned for wreckage using sophisticated sonar, but nothing related to the plane has been found. Meanwhile, Australian Prime Minister Tony Abbott said the search for the flight in the southern Indian Ocean could be widened if it is not found. The priority search is due to conclude in May, but Abbott said it could be extended further "as long as there are reasonable leads". "If we don't succeed in this search, there is another search that we intend to make," he said in Sydney. "We've got 60,000 square kilometres that is the subject of this search. If that's unsuccessful, there's another 60,000 square kilometres that we intend to search and, as I said, we are reasonably confident of finding the plane," he said. 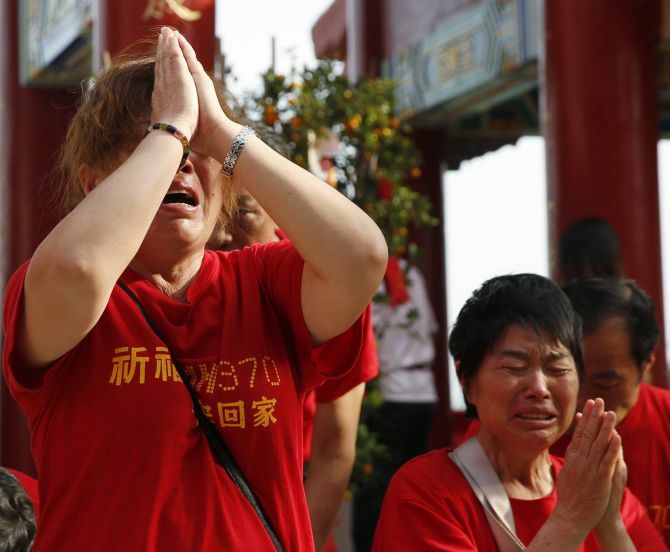 The Malaysian government later in the day is expected to release an interim report on the search for the plane. Where did Malaysian Airlines flight MH 370 disappear?